Water levels at Lake Kariba, the world’s largest man-made reservoir, have dropped below 30%. Kariba’s water levels may drop further before rising. Possible reasons for the drop include overuse of the water to generate electricity, drought, or a combination of the two. All of this could have been predicted months in advance using state-of-the-art climate models. A recent study showed that mid-summer rainfall variations from one season to the next over the catchment are predictable several months ahead. The models developed would have been able to capture the very wet conditions several months in advance of the 2010-11 season and the resulting high inflow volumes into the lake. Using this model, one can predict what lies ahead for Lake Kariba in the coming season. 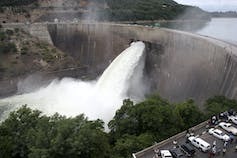 The drop in Kariba’s water levels will impact negatively on the economies of Zambia and Zimbabwe – the two countries that rely heavily on the lake for electricity, agriculture, tourism and fishing. Zambia and Zimbabwe rely on Kariba’s hydropower project for half of their electricity needs. The two countries have had to scale back electricity usage as a result of Kariba’s low water levels. 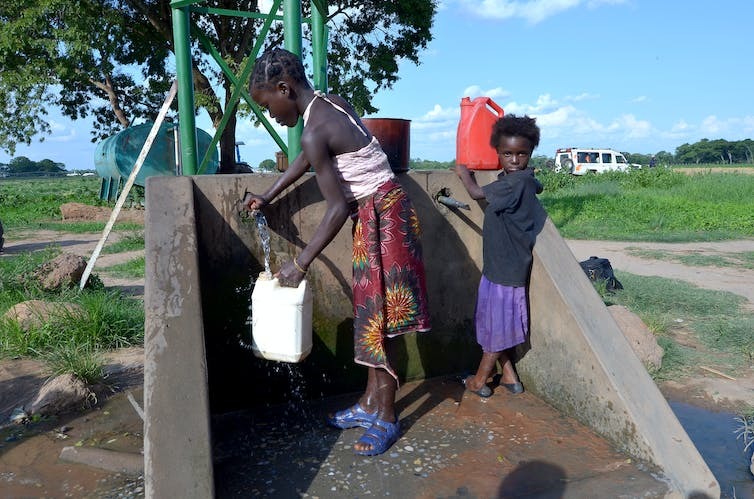 Zimbabwe also faces economic complications with the lake drying up. People living in close proximity suffer power cuts, hunting drops and the copper mining industry suffers. Environmental impacts are a concern as well, as much of the biodiversity of the region will be forced to relocate. The inflows into the lake rely heavily on rainfall, especially rainfall over the Zambezi River catchment. During the 2010-11 summer season, southern Africa was inundated by intense and prolonged rainfall over the catchment area. The Lake Kariba reservoir was almost at full capacity in late 2010 when rains over large areas of the catchment resulted in flooding into Kariba. That wet season coincided with a strong La Niña [event]((http://www.cpc.ncep.noaa.gov/products/analysis_monitoring/ensostuff/ensoyears.shtml). El Niño is associated with unusually warm ocean temperatures in the Equatorial Pacific Ocean. La Niña, however, is associated with unusually cold ocean temperatures in the Equatorial Pacific Ocean. La Niña events are often associated with unusually wet summer seasons over southern Africa. But in the 2015-16 summer season, the chances of a La Niña to occur are effectively zero. There is a stronger chance for a massive El Niño event to reach maturity by the end of 2015 and to persist throughout the whole summer rainfall period. The presence of an El Niño does not guarantee drought conditions over southern Africa, including the catchment area of Lake Kariba. But the majority of such Pacific Ocean events are linked to droughts over the region. El Niño is coming. But predicting how El Niño will affect seasonal rainfall for 2015-16 can best be achieved with state-of-the-art climate models. The accuracy of the forecasts can be improved by using all of the models. There are a number of institutions that can provide these multi-model forecasts in real-time. The International Research Institute for Climate and Society, for one, produces forecasts for the next six months. The institute predicts below-normal summer rainfall or possibly a drought in the Zambezi catchment. December to February is an important season for the region since it is the three-month season of highest rainfall totals and this season precedes the main inflow season of March through May of the Zambezi River into Lake Kariba. Probabilities predicted as high as 60% for mid-summer drought are relatively high for this part of the world. This is because such high probabilities are not often predicted over the region. During droughts, seasonal rainfall tends to be lower than average over the region, but during a drought there may still be some thunderstorms. These can even result in local flooding that may supplement dam levels. Occasionally, spring rainfall has been found to be favourable during El Niño years, but when this happens it is likely to be a false start to the rainfall season. Kariba water levels are most likely to remain under serious threat this coming summer. But Kariba authorities have now been forewarned that the situation may not improve over the months ahead. They should take measures to minimise the impact of the current El Niño event.